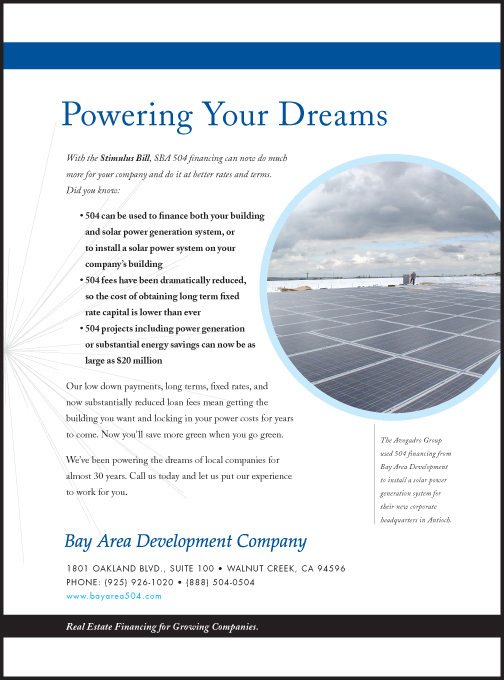 Bay Area Development Company provides SBA 504 commercial real estate financing to small and mid-sized companies throughout Northern and Central California. 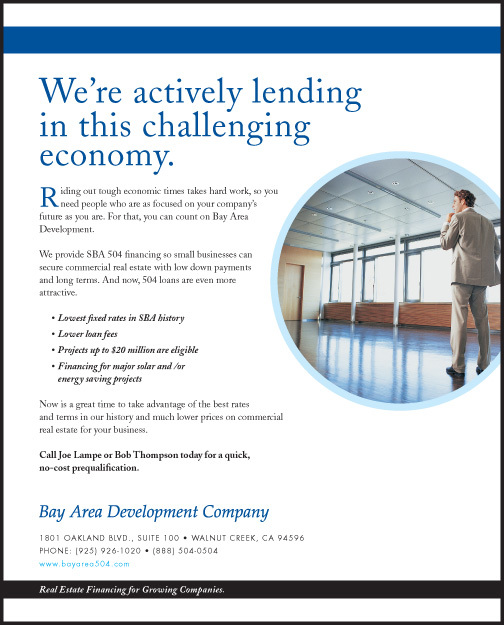 Bay Area Development Company is one of the largest Small Business Administration lenders in the San Francisco Bay Area. For more than a decade, e design has partnered with Brenda Komar of Chrysalis Marketing to serve as the company’s outsourced design and marketing firm. We have been responsible for their brand identity and also multiple advertising campaigns, both print and online. 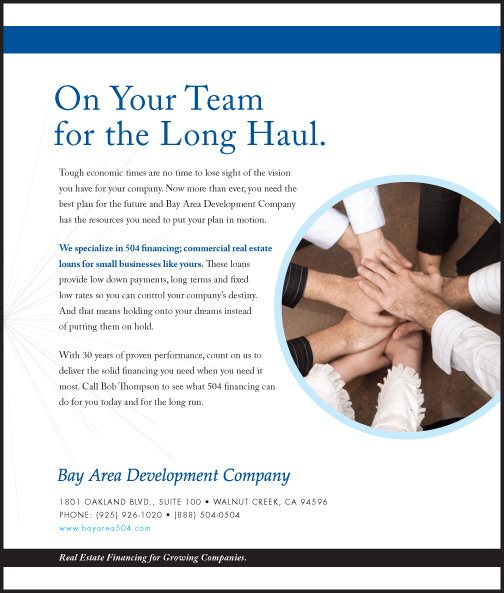 We consider Bay Area Development to be a great example of a company that counts on us to make sure their brand stays consistent and true across all marketing efforts.